As genuine music lovers, Grain Audio's only goal is to make your music sound beautiful and keep you looking good while doing it. Everything else is just a distraction. At 20% off, their in-ear headphones are only $79 so grab a pair and enjoy your tunes rocking from a subtle, refined design. Use promo code gawkerIEHP. By focusing on the essentials only, both the sound and aesthetic are enhanced. The solid wood enclosure not only offers better acoustics than plastic ever could, but it gives Grain Audio its refined look. Similarly, all of their speakers are hand-tuned allowing every artist's unique sound to be reproduced naturally. That means no unnecessary features like a false bass boost or enhanced treble and midrange are added. 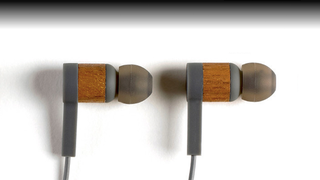 Get a pair of Grain Audio in-ear headphones and look good enjoying quality sound everywhere you go. Use promo code gawkerIEHP and save 20%.